Sculptural free blown glass diffuser. 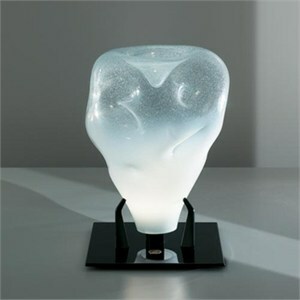 Texture and depth is created by the use of bronze dust or silica sand dust in white smoked glass. Available for table application with black polished painted base. Fading touch dimmer provided for table version. Companion pandant lamp also available.